Enjoy these amazing silver facts. Silver is a precious metal that has had a number of different uses over the years, including jewelry, coins, silverware, electronics and photography. 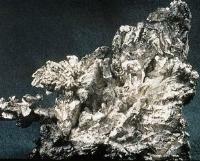 Find out more about the silver atom and its properties by checking out our interesting facts about silver. You may have heard of the term sterling silver, this is the name given to an alloy (combination of metals) that is at least 92.5% silver by weight. The other 7.5% is made up of other metals, usually copper.